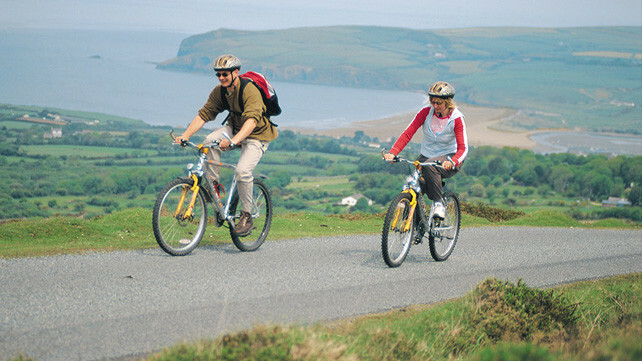 Cwt Gwyrdd is ideally situated in the village of Pontyglasier between the Preseli mountain range and the Pembrokeshire coast and is well suited to a range of outdoor activities such as walking, bird watching, mountain biking, water sports and horse riding along with many other local attractions. Local beaches such as Newport and Poppit Sands have been a great favourite with my guests. Traveling further along the coast is St Davids the smallest city in Britain with its magnificent cathedral, well worth a visit! 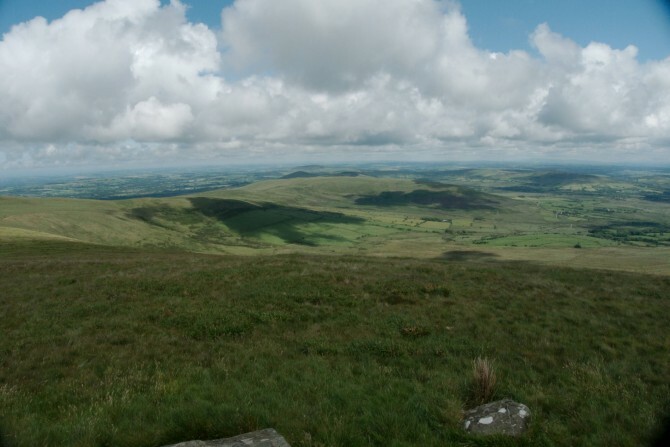 The Preseli Mountains with its numerous designated routes, one being the 8 mile Golden Road a trail running along the spine of the mountain range – hill walking at its best! 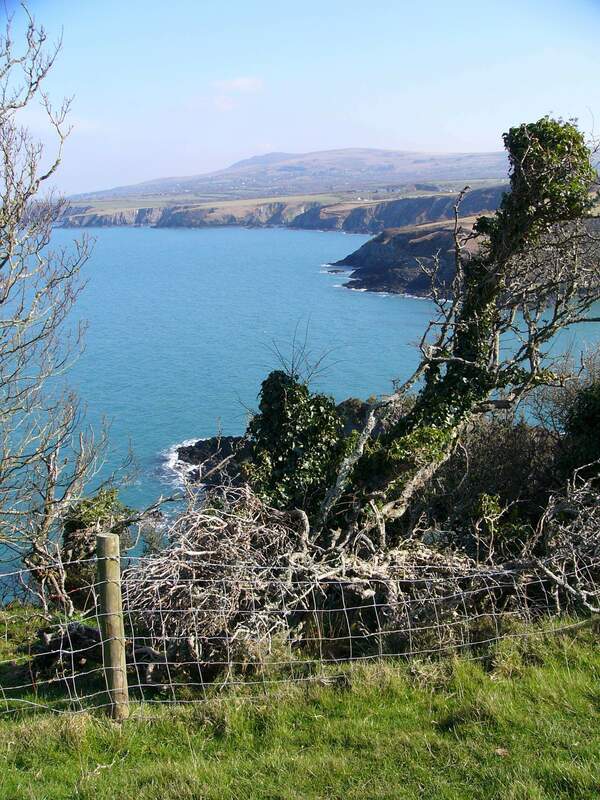 The Pembrokeshire Coast Path offering 186 miles of spectacular scenery all within a 10 minute drive of Cwt Gwyrdd! I can personally recommend the Dinas Head circular walk approx. 3 miles with a well earned drink at The Old Sailors on your return! Miles of good on and off-road cycling can be found in the area with rides to suit all including the routes around Llys-y-Fran reservoir. There is the option to hire bikes at the visitors centre. Sustrans Route 47 from Carmarthen to Fishguard, part of the Celtic Trail West passes through Crymych, just 6 miles from Pontyglasier. For an interactive version of the map below click here. There are many other quiet road routes around Pontyglasier. The beaches of Newport are only 8 miles away. The option to take to the saddle and explore is within easy reach of the hut! Approximately 2 miles from us we have Crosswell Riding Stables with its well behaved horses and friendly staff offering hourly treks and lessons with a qualified instructor. Trekking and lessons also available at Havards Stables near Dinas Cross with riding straight onto Newport Mountain with stunning coastal views. For the option of beach riding this is catered for further along the coast at Nolton Haven Riding Stables. Because Cwt Gwyrdd is situated on the river bank it is an ideal location for an abundance of wildlife. Water vole, foxes, badgers and even otter have been spotted along this stretch of river! I provide bird feeders and nest boxes at the hut to encourage the bird life and an early morning walk will often result in seeing Mr Heron fishing for his breakfast! Traeth Mawr (Big Beach Newport) is a 10 min drive with its glorious stretch of sand and views of the estuary and the Market town of Newport. Ideal location for canoing, surfing windsurfing Kite flying BBQs and picnics! 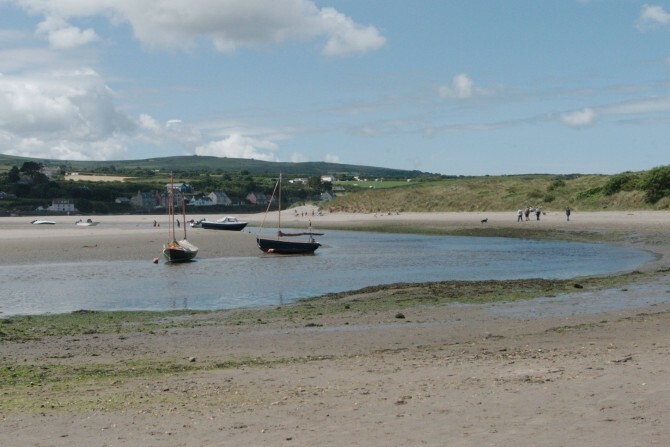 Poppit Sands another popular beach is located further up the coast towards the attractive town of Cardigan.Here you will have the added bonus or refreshment provided by the beach café! There are many small coves and harbours along this stretch of the coast just waiting to be discovered during your stay!